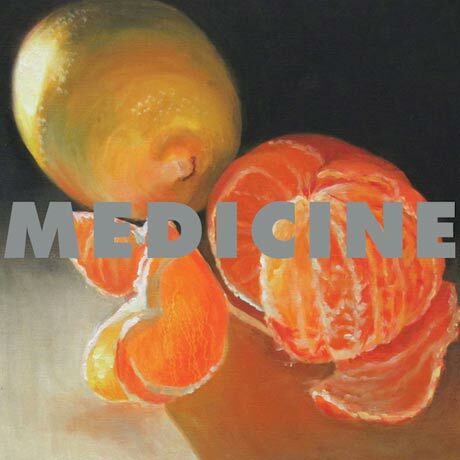 We're still reeling from the arrival of My Bloody Valentine's endlessly delayed m b v, but now another groundbreaking shoegaze group has returned, as Medicine are gearing up to release a new album. To the Happy Few drops on August 6 via Captured Tracks. This will be the band's first album in 18 years to feature the original members, since 2003's The Mechanical Forces of Love featured a pared-down lineup of Brad Laner and Shannon Lee. It comes hot on the heels of a string of Medicine reissues from Captured Tracks; in 2012, the label rereleased the group's first two albums and assembled a deluxe box set. Medicine have shared a single from To the Happy Few in the form of the exceptionally woozy "Long as the Sun," which explodes into speaker-melting fuzz at the 1:18 before going absolutely bonkers at around 2:24. Stream or download it below. To the Happy Few will be available on vinyl, CD and digitally. And just in case you were worried that this might be some sort of a cruel April Fool's joke, the band assured fans on Facebook, "we're too obscure to attempt something dumb like that." Medicine "Move Along - Down the Road"